Helambu Trek is a short and sweet hiking near Kathmandu. If you have a week and looking to explore the Langtang Range soaring white peaks then this short trip package is for you. The place Helambu is well known for the sweet apples and creational Buddhist Monasteries. The village is hardly 80 km in distance from Kathmandu. Besides of its short location from the capital city (Kathmandu), the Helambu Region is still in its old origin figure, virgin, and unruined. 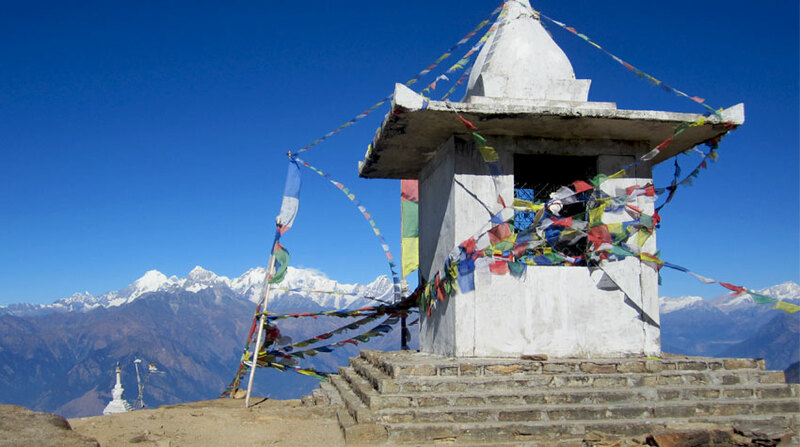 Helambu Trek offers the marvelous views of the lofty Himalayas as well as experience the Hyolmo tradition. Naturally beautiful and adventurous with culturally riched, Helambu Trek begins from Sundarijal, an hour of drive from Kathmandu. The first 4 hours of hiking reach the place called Chisapani (Cold Water). Everyday 4 to 5 hours of ascending walking will pass through Kutumsang, Thadepati Village, finally reaching Tarkeghyang. Explore the region and exit the trek from Melamchi Pul. You will be driven back to Kathmandu. Day 01: Drive Kathmandu to Sundarijal & Trek to Chisapani. Trail Attractions: Oaks, Rhododendron Forest, panoramic himalayan views, and Waterfalls. Trail Attractions: Langtang Range Mountains, Meadows, and Fields. Max. Altitude: 2,446 m (Kutumsang). Day 03: Trek to Thadepati. Trail Attractions: Rhododendron Forest, and snow-capped mountains. Max. Altitude: 3,650 m (Thadepati). Day 04: Trek to Tarkeghyang. Trail Attractions: Sherpa Village, Melamchi Gaun, Monasteries, and beautiful forest. Max. Altitude: 2,560 m (Tarkeghyang). Day 05: Trek to Sermathang. Trail Attractions: Water springs, Buddhist Monastery. Max. Altitude: 2,610 m (Sermathang). Day 06: Trek to Melamchi Pul & drive back to Kathmandu. Wants some modification on Helambu Trek itinerary? contact us to customize it.